Here I am after all, I know it have been very long since I post last time. Now we are back with new series of reviews “Guest Review” to get different opinions from all over the world and to keep this blog alive. This review is about the new release of Habanos!! the Allones Extra by ramonallones and it was written by Heiko Blumentritt or @eldondo_ch whose “Enjoying life in Switzerland”. I’ve already smoked a couple of the Allones Extra to be in the core of the action. 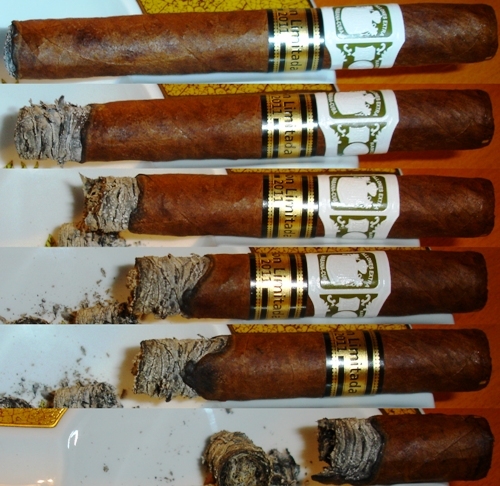 The cigar lasted for 85 minutes, it had an always perfect draw but the ash was not as firm as it was for the “Hoyo” I smoked the other day. In my humble opinion this cigar is real big-time with a great agin potential. I’m sure you’ll regret it in a few years when didn’t buy some for storage. Many thanks to Heiko for this review, and to you readers. Please rate, like and comment, Have fun!!! CHEERFUL” cigar ,Now It Is a super cigar .Well done Habanos S.A. .